The S.P.O.T. is usually a half day orientation / training in various PV Solar related technologies, which or may not be sponsored by a specific brand. 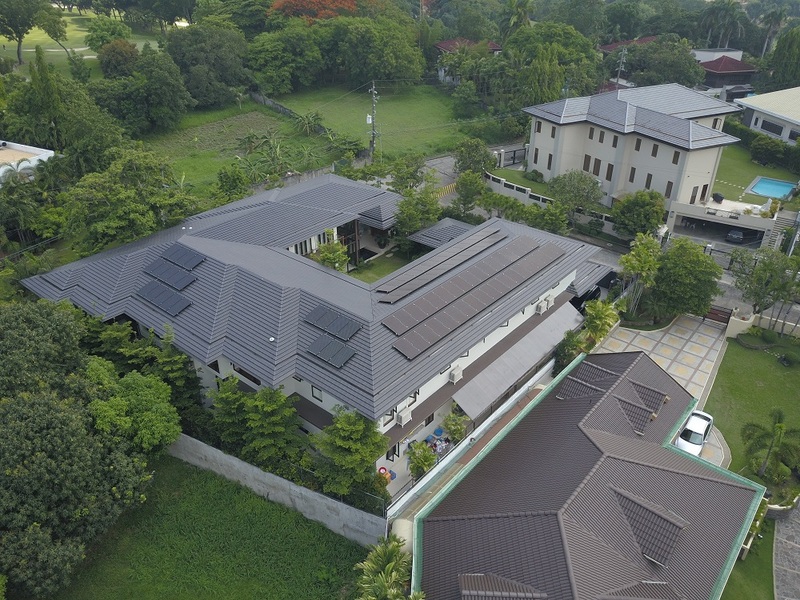 We also have specific days for energy policy discussions, LGU training, challenges the Philippines is facing such as rural electrification, creating microgrids / offgrids, the intricacies of industrial installations, etc. Our goal is to bring green-minded individuals together and exchange ideas for a more powerful and greater Philippines. 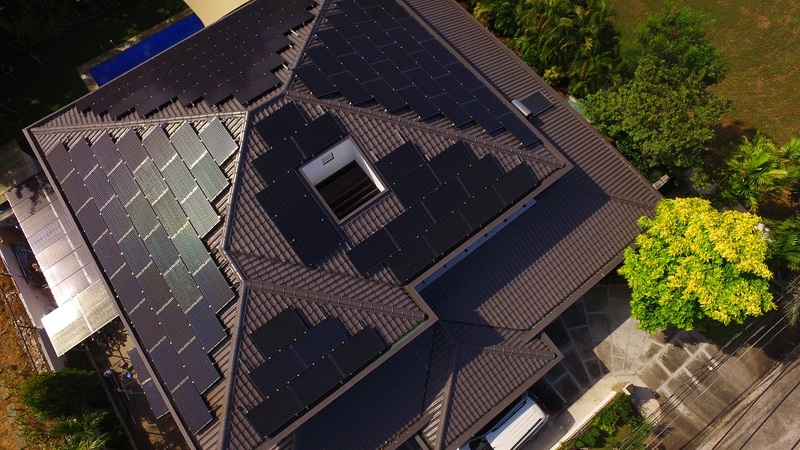 Qualifications: Unless otherwise specified, most SPOT events are technical in nature and geared towards Solar Professionals (experienced installers), PRC Card Holders (Architects, Engineers, etc), General Contractors, Solar 101+202 graduates, and anyone that already has solar, or is planning to install solar on their facility. It may not be comprehended by the general public. This month’s SPOT program is solar using the DC optimizer technology. 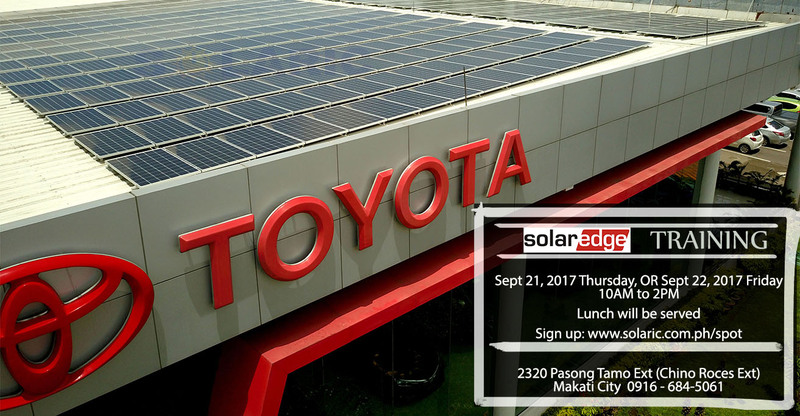 Our technology partner Solar Edge is sponsoring the training sessions on How to maximize solar yields using Solar Edge PV architecture. Solar Edge is one of the best-selling inverter brands in North America and the world class leader in yields, safety and efficiency. It is the inverter manufacturer of choice for customers who want dependability and durability. This is a fairly technical seminar but we did engineer it that can be still understood by an astute listener or above average science-literate person. Generally, attire is smart casual. Your calculator or cellphone calculator. There will be WIFI in the classroom, it works 95% of the time. There is very limited parking on premises. Please consider public transportation, Uber, Grab, or parking at ECO PLAZA Building across the street. If you have any food allergies please notify us ahead of time. (Your slot will not be confirmed until we send you a confirmation email or text.